A conversation about how the lean startup methodology propagated by Eric Ries et al. can and should be used in the context of Open Source projects. Many promising Open Source projects get stalled due to lack of focus, lack of customer-centric thinking and too much “scratching my own itch”-ism. Applying the battle-proven techniques of lean startups can help bring better Open Source projects to the world – and make the world a better place. Pascal and Ash respectively bring deep experience in Open Source/ Open Innovation and lean startup practices and will argue their hearts out – for better Open Source projects. We’re experiencing the birth of a new era: Legacy news organizations are beginning the process of moving beyond their print and broadcast past, while new, all-web reporting outfits begin to chart a path into a new future. In the process, exciting new discussions of how the culture of the open web intersects with the culture of the newsroom are growing ever more frequent. All of this has kicked off a wave of innovation throughout the journalism space that has seen leaps forward in real-time reporting, data visualization, back-end technology, and much more. But it’s nothing compared to the innovations to come. Recognizing the many opportunities to facilitate community and empower webmakers to build real tools, the Knight-Mozilla News Technology Partnership was formed in 2011. It has kicked off a year of design challenges that culminated in placing technology fellows in some of the world’s best newsrooms, charged with creating code for new kinds of news. As the partnership enters its second year, this conversation will address the broad implications of this new kind of collaboration: How do we work together to innovate in the news space? How do we bring the best practices of both disciplines to bear on the other? How do we broaden the scope, spread the code, and create real impact? 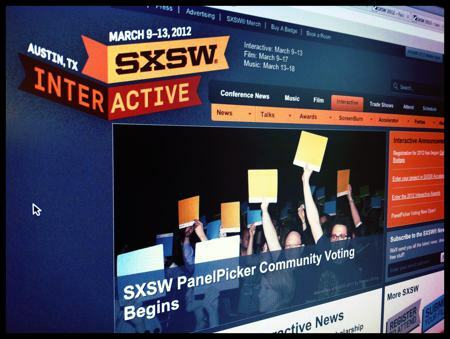 To see all Mozilla submissions in the SxSW PanelPicker click here. Thank you & see you at SxSW!